Over 23 Years Providing Experience's of a Lifetime. 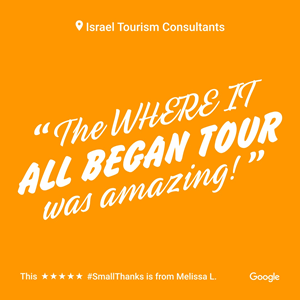 Book and select one of our weekly departure Israel tours; Christian tours, Jewish tours, General tours, and daily excursions in Israel. 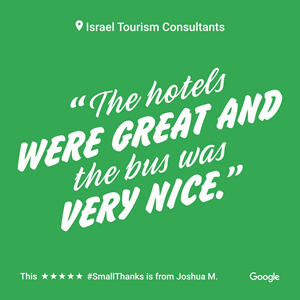 We offer complete tour packages, hotels, car rental, vacations and flights to Israel. 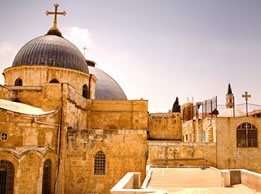 Christian Holy Land Tour package of Israel including transportation, hotel accommodations, daily breakfast, daily dinner, special lunch in the Galilee, sightseeing as per program, and entrance fees as per itinerary, plus one night stay in the Dead Sea resort area. 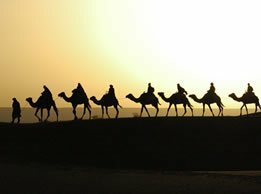 Egypt, Jordan and Israel tour including transportation, hotel accommodations, daily breakfast, lunch included in Cairo and in Taba, daily dinner, program and entrance fees per itinerary, plus one night stay in Petra, and one night stay in the Dead Sea resort area. 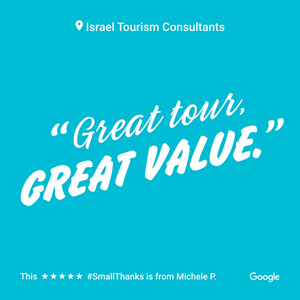 General Classic Tour package of Israel including all transportation, hotel accommodations, daily breakfast, dinner included in Galilee, sightseeing as per program, and entrance fees as per itinerary. 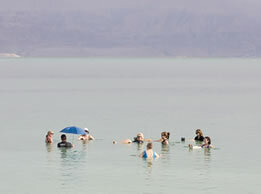 Add an optional tour to Eilat. Isn't Israel Hard to get to? Much easier than you may think: just 10 hours from New York (it’s less to fly from New York to Israel than from New York to Hawaii), or 14 hours from Los Angeles. There are as many as a dozen nonstop flights a day from North America to Israel with several major airlines, plus you can connect to Israel through many European cities. I'm traveling from Australia, Canada, South Africa, United Kingdom, etc. can I join your tour? Yes, our guest are from all parts of the world & we can help you get there! What documents do I need to travel to Israel? 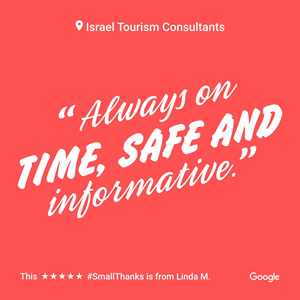 For U.S. and Canadian citizens, all you need is a passport that’s valid at least six months longer than your date of arrival in Israel. (For stays up to three months, you don’t need a visa.) If you’re not a U.S. or Canadian citizen, the same conditions apply to citizens of most western countries. 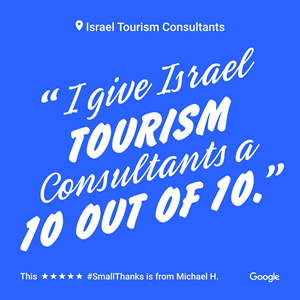 israeltours.co is operated by Israel Tourism Consultants a DBA of Vacations For Less, Inc.® established since March 1995 is a trademark registered in the US Patent and Trademark Office.